C.A. Confidential: Fluxx Canada Day @ Taj Banquet Hall, Toronto, ON - Sun July 1st! Fluxx Canada Day @ Taj Banquet Hall, Toronto, ON - Sun July 1st! 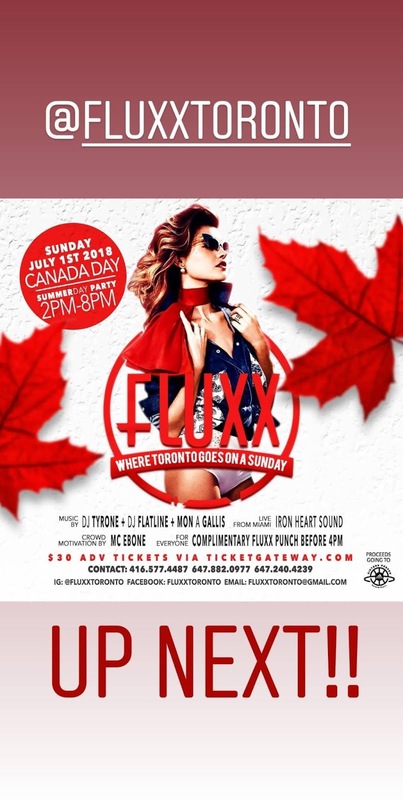 CANADA OH' CANADA JOIN US SUNDAY JULY 1ST FOR THE CANADA DAY EDITION OF FLUXX TORONTO. EXPERIENCE AN OUTDOOR DAY VIBE LIKE NO OTHER AS WE CELEBRATE CANADA DAY UNDER THE SUN. THIS IS FLUXX.